Looking for feedback from our members. 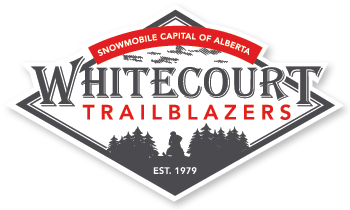 Please take 10 minutes to complete our survey and enter to win a 2016/2017 Trail Pass. This pass has been donated by the Trailblazers and is not an ASA event. We would like to inform you that our staging area gates are locked and the snowmobile trails are closed as well. We are concerned that certain parts of the trails are not safe for travel, so have therefore officially closed them. Thank you to everyone who has volunteered, purchased and sold tickets, sold trail passes, rode our trails and supported the club this season. Thank you to Mike Stuckless who attended our March General meeting and spoke about his experiences in the Avalanche in McBride this past winter. Our condolences to all the families and those affected by the avalanche. The snowmobile community has been touched by all the tragedies this season. Be safe out there folks. Trails are in extreme late spring conditions with dirt spots, exposed rocks and debris. We did not receive any snow this past week and have had above zero temperatures. Surprisingly, people are still riding in our area Reports from people riding on the Golden Triangle have been favorable. Beware of trees blown down in the north. Again the trails are very hard and icy in places, if you are riding please use EXTREME caution. In addition, please use extreme care and caution when crossing water areas including rivers, lakes, ponds and streams. Please note: Next week, we will evaluate the staging areas and trails and may consider closing the gates. A reminder to everyone about our Town Bylaw, No sleds or OHV’s on our streets after March 31st.